Ashley Sponaugle is a Sea-Doo watercraft enthusiast. Ashely is the proud owner of a Sea-Doo RXP-X. She owns a RXP-X because she is a go fast type of girl. When the opportunity to compete in an actual watercraft race against other first timers, her competitive juices rose to the top. 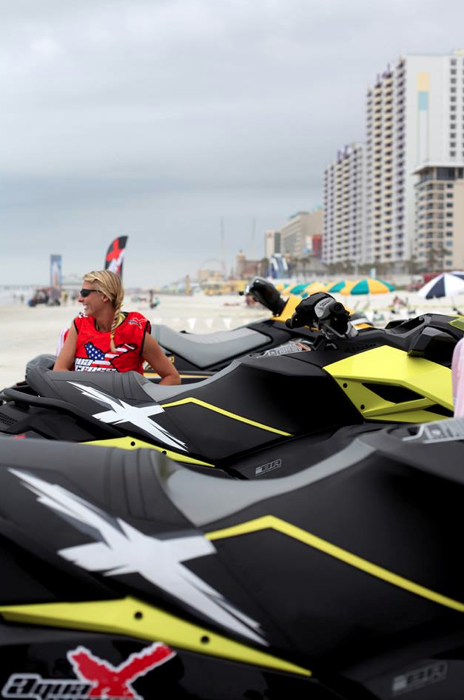 The other element that attracted her to the P1 AquaX series in Florida was that all competitors must ride stock model PWC in three different classes, determined by stock horsepower ratings. No modifications were allowed, meaning no money spent on modifying the units putting everyone on equal footing. Former Pro watercraft racer Lisa Barsby began the P1 AquaX racers in her home land, the United Kingdom to bring in a new group of people into the PWC racing family. Racing stock units opens the door to many riders who simply aren’t interested in spending money to modify their watercraft that they enjoy riding casually every weekend. The format mixes closed course racing with endurance in a simplistic track layout that is easy to follow and provides wide open areas to navigate while minimizing tight cornering sections. 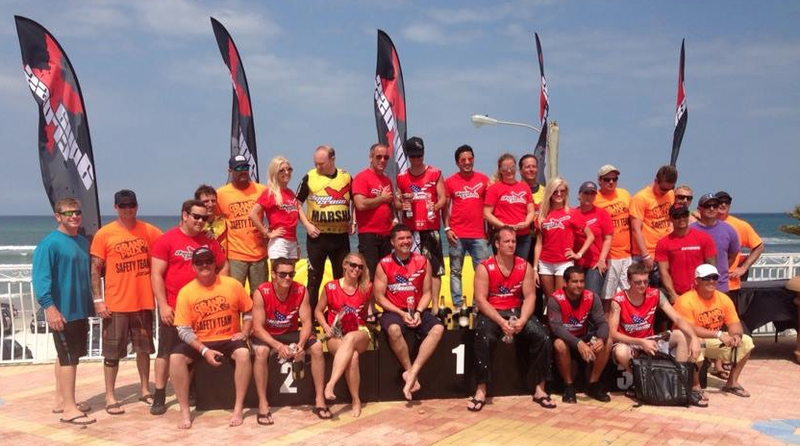 This format is what drew Sponaugle, Ultimate Sea-Doo Fan contest winner Kevin Wassum and many other first timers to compete in the first of what BRP hopes is many P1 Aqua X events in the United States. The first P1 Aqua X event was conducted in Daytona Beach, Florida in challenging surf and saw the majority of the participants competing for the first time…ever. It was a veteran racer, Eric Lagopoulos who took the overall win on a Sea-Doo RXP-X but for the dozen first timers it was a victory in simply being a part of it. Most noted that the racing bug has now bit them and they look forward to riding their Sea-Doo in future competitions. Watercraft racing has existed since the early 1980s but it hasn’t been since the recent growth of the HydroDrag drag racing series and now the P1 AquaX series that new faces have experienced what Sea-Doo watercraft can provide those with the competitive spirit. 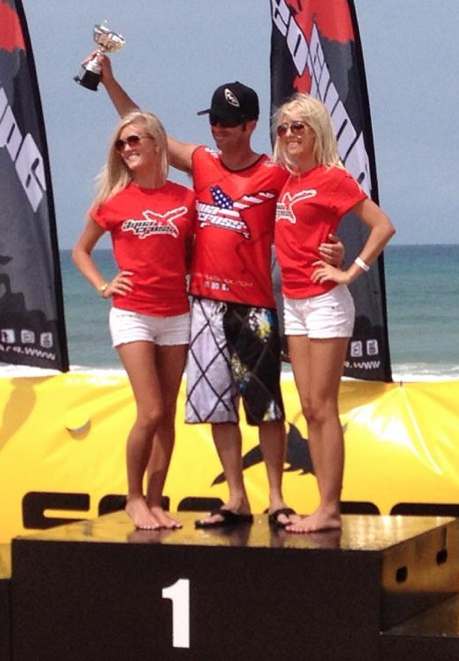 Ashley Sponaugle, welcome to the Sea-Doo X-TEAM! See you a top the podium in the near future!